Carnoustie Golf Links the legendary course of the 147th Open: The 147th Open Championship has already started and continues until Sunday with a record of almost 10 million euros in prize-money, with the prospect of the Carnoustie Golf Links present itself for the first time in more benign conditions that may allow a new record 72 hole course record for the champion. In 2018, the Majors champions are two Americans: Patrick Reed at The Masters and Brooks Koepka at the US Open, an important detail in a Ryder Cup year. And no one will be surprised if the British Open winner will also be an Americano n Sunday, given that eight of the top 20 in the world ranking come from this country and seven of them are Major Champions. The only exception being Rickie Fowler, the 29 year old who has already been runner-up in three of the four Grand Slam tournaments, including the British in 2014! Jordan Spieth (defending champion), Dustin Johnson (world No. 1), Justin Thomas (PGA Championship champion), Patrick Reed and Brooks Koepka, and the left-handers Bubba Watson (two-time Masters champion) and Phil Mickelson (winner of 5 Majors, including the British in 2013) are among the many candidates, although Watson has never reached a top-20 in the oldest tournament in the World. “The ball rolls a lot in the links and the distance is not that important anymore,” Woods said, also knowing that US captain, Jim Furyk, said he still has a chance to get e pick to play the Ryder Cup in September if he has a good performance this week. “For me, there are about five thousand different ways to play these holes,” said Patrick Reed, agreeing with Woods that although the Angus Links course is the longest of all the 10 Opens course, the driving distance will not be the most important aspect. 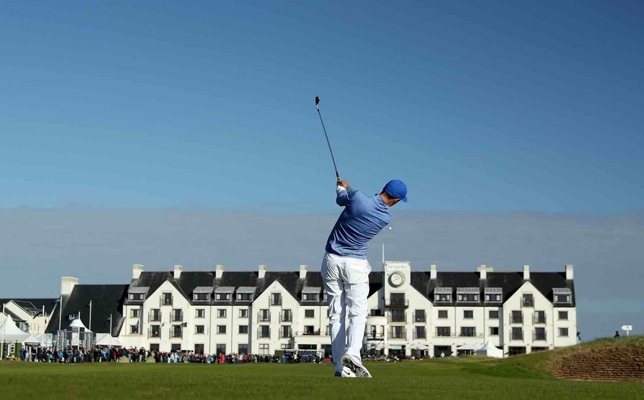 Many Europeans can dream about winning at Carnoustie, including the last two to British Open European champions, the Swedish Henrik Stenson in 2016 and the Irishman Rory McIlroy in 2014, when he shut-up all of those who predicted that he would never be able to triumph on a links, because of his high ball flight. But perhaps the best European in recent weeks has been the silent and circumspect Italian Francesco Molinari, this year’s champion on the PGA Tour (Quicken Loans National) and on the European Tour (BMW PGA Championship). As The Open Championship began on Thursday, much of the attention soon fell on Tiger Woods, playing with a neck pain. But in the days leading up to the start of the event organized by the Royal and Ancient Golf Club of St Andrews, the main focus was on the course. Carnoustie is legendary. There are historical records of the local parish of golf in 1560! A course already existed in 1834 and it is certain that in 1867 Old Tom Morris designed and transformed an original 10-hole course in a 18 hole one. In 1926 it was renovated by James Braid, a five-time British Open champion. In 1931 the course first received The Open Championship and since then is one of the 10 courses hosting the oldest and most prestigious tournament in the World. 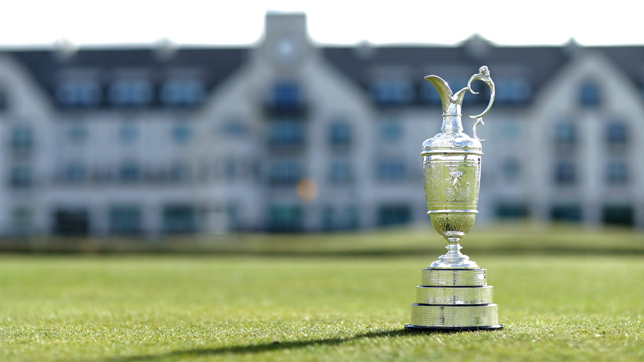 Only great champions triumphed in Carnoustie: Scotsman Tommy Armor in 1931, Englishman Henry Cotton in 1937, American Ben Hogan in 1953, South African Gary Player in 1968, American Tom Watson in 1975, Scotsman Paul Lawrie in 1999 and the Irishman Padraig Harrington in 2007. 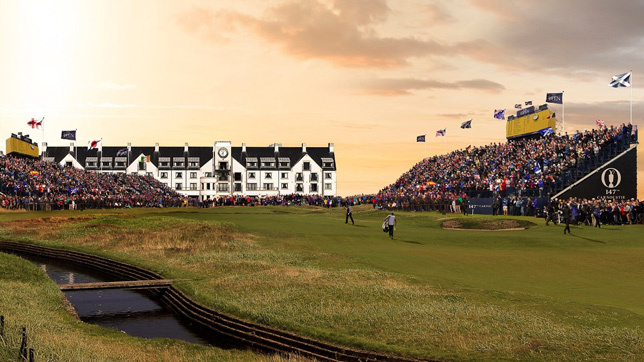 Carnoustie has long been considered one of the most difficult tests in the history of the Majors, but the last two editions of the British Open there were epic and turned the course into an authentic legend. In 1999 the course setup was so violent that the average stroke rate per round was 76.8, the cut was at 12 over Par, and Lawrie won at +6. Simply brutal. On top of that, the ending was magical. Frenchman Jean van de Velde lost 3 shots in last hole, sending the ball to the famous water hazard baptized Barry Burn, missing the chance to become a Major champion. He then lost the play-off with Paul Lawrie and Justin Leonard, and Lawrie still is the last Scot to triumph in Carnoustie. The hardness of the course made gain it the nickname “Car-nasty” and in 2007 Padraig Harrington sent the ball twice to Barry Burn in the last hole of the last round. It was necessary to go to another play-off to decide the title and the ghost of van de Velde returned to Carnoustie, but Paddy recovered and defeated Sergio Garcia. Interestingly, Harrington won with 7 under Par, the second best ever score at a British Open on the Angus Links course, only surpassed by Watson’s -9 in 1975 when the course was still a Par-72 and not a Par-71 like nowadays. It was also in 2007 that Steve Stricker and Richard Green made rounds of 64 shots, the best of The Open in this course, although the record belongs to Tommy Fleetwood’s 63rd card at Alfred Dunhill Links Championship last year, a tournament where the setup is nicer. «Carnoustie course record holder sounds great, doesn’t it? When we look at all the big players that have played here, whether in the Open or in this tournament, it is very special to have the lowest round ever. I’m very proud, “said Tommy at the time. Although the scores were much better at this 2007 Open than in the one of 1999, the toughness of that Harrington’s finale helped to reinforce the reputation of the 7402 yards course. That is why most players do not believe the predictions of some analysts that this year we will have for the first time a champion to overcome the two digits below Par. The mini-drought that the United Kingdom has known in recent times, coupled with the unusual high temperatures in Scotland, have made the course even firmer and therefore faster, while the rough, although high, is thinner, less dense, more playable. Only if the traditional strong winds show up, the players will have nightmares. But that was not what happend on the first round, with the surprising American Kevin Kisner, 33rd in the ranking world, taking the lead with 66 shots, 5 under Par.